KEY MEMBERS – AB MATHUR, ABHAY KUMAR PADHI, A. RAJAGOPAL, AR SHEIKH, ANIMESH CHAKRABORTY, BB PANDIT, BRIG. RETD. VAM HUSSAIN, CBS MAURYA, CH RANGA RAO,Dr. A. SURYA PRAKASH,DHIRANJAN MALVEY, DK GUPTA, DP SINGH, D RAY, HD RAMLAL, HR SINGH, JAWHAR SIRCAR,K N YADAV,LD MANDLOI, MOHAN SINGH,MUKESH SHARMA, N.A.KHAN,NS GANESAN, OR NIAZEE, P MOHANADOSS,PV Krishnamoorthy, Rafeeq Masoodi,RC BHATNAGAR, RG DASTIDAR,R K BUDHRAJA, R VIDYASAGAR, RAKESH SRIVASTAVA,SK AGGARWAL, S.S.BINDRA, S. RAMACHANDRAN YOGENDER PAL, SHARAD C KHASGIWAL,YUVRAJ BAJAJ. PLEASE JOIN BY FILLING THE FORM GIVEN AT THE BOTTOM. For Becoming Member, Fill in the form at the end of this page or click HERE. Membership of PB Parivar is open. It is Free. Any former or present employee (all categories, regular, Contractual, Guest), every one connected with AIR & DD can become member & contribute to increase positivity. Shri Inaganti Imam Saheb, Retired Staff Artists-Clarionet, All India Radio, Vijayawada has passed away in early hours on 05.04.2017 at his residence Tadepalli. Shri Imam Saheb borned at Nagulapalem village, Parchuru Mandalam of Prakasham Dist. His father name Late Meera Sahebn and his mother name Hussenamma. He was borne on 1953. 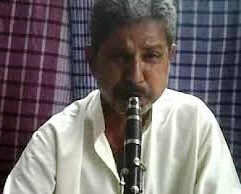 Shri Imam Saheb had joined as Instrumentalist(Clarionet) at All India Radio, Bangalore 13.05. 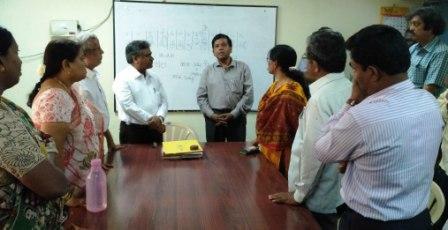 1991 and he was transferred to All India Radio, Vijayawada during 1996 on same capacity. He takes Voluntary retirement on 1st August, 2011. He performed number of Music concerts and Akashvani Sangeetha Sammelan. All India Radio, Vijayawada staff assembled at the Conference hall of the Office at 11.30 hrs for the condolence meeting and prayed for the peace of the departed soul. Prasar Bharati Parivar condoles the demise of Shri Inaganti Imam Saheb and prays to the almighty for the peace of the departed soul. 18th April is World Amateur Radio Day..
आकर्षण केन्द्र बना आकाशवाणी लखनऊ का स्टाल ! 126th Birth Anniversary of Dr.Ambedkar- AIR Pune. RECORD REVENUE FOR CBS, THIRUVANANTHAPURAM.